Blondehurst – Live every day as if it's your last…even Mondays. Live every day as if it's your last…even Mondays. Emerging through hanging leaves into Ubiquitous Chip like a surreptitious David Attenborough, (should Sir David be more occupied with prosecco and cheese rather than the wonders of the natural world), it was time for me to pay one of Glasgow’s most iconic restaurants a much delayed visit. Whether you’re familiar with the arboretum-like settings, or have been acquainted with maverick Scottish writer and artist Alistair Gray’s magnificent wall murals, I’m sure that the legends of the eatery have not gone unheard, even if you have yet to dine here. Nestled quite comfortably in Glasgow’s West End Ashton Lane, Ubiquitous Chip is a special little gem. Described as “a melting pot of people and ideas” since opening 45 years ago, it’s been frequented by the fun and the famous, the quirky and the quintessential West Ender. Ex-staff members include actress Kelly MacDonald and The Late Late Show host, Craig Ferguson. And whats on the menu? It’s a treasure trove of Scottish fare when it comes to grazing, and an epic journey through the world of wine when it comes to alcoholic amazements. Winner of the AA Wine Award 2015, you can guarantee that it’s worth perusing the 20-page wine novel to select the bottle for you. Don’t hesitate to grill the resident sommelier either – he’ll enthusiastically divulge the full history of any wine on the menu, providing some handy tasting notes and helpful pointers of which dish to match with your glass. It’s with idiosyncrasies and quite lovely quirks like these that ultimately makes the Chip’s dining so charming. I enjoyed every sip, bite, glug and munch throughout the experience, and can only lament the fact that I didn’t order more munch, wish fore more wine. I can confirm – our bouches were officially amused with this refreshingly sweet appetiser. Main no. 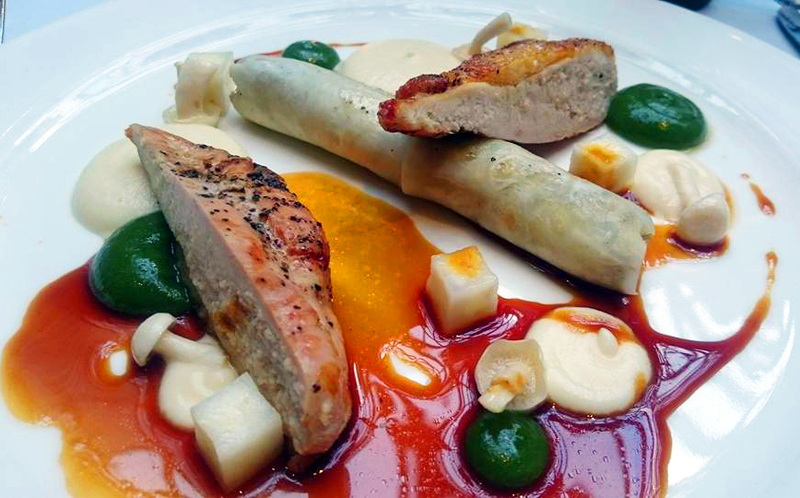 1: Guinea fowl breast, confit leg and pancetta cannelloni, celeriac. The pancetta-stuffed cannelloni was a particular highlight amongst this colourful dish, and not a trace of puree could even be spied once I’d finished mopping up the lot with the deliciously moist guinea fowl. Main 2. 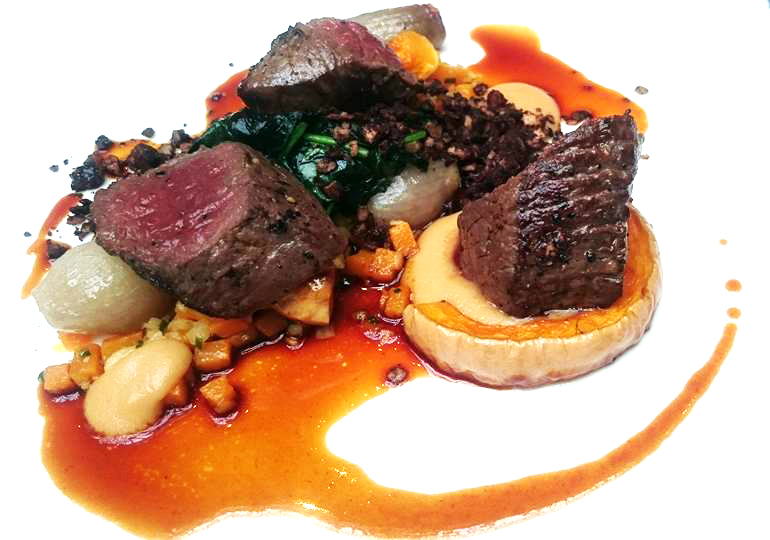 Galloway roe deer, squash, baby onions, smoked potato, hazelnuts and cocoa. Ingredients which were individually tasty – combined together absolutely spectacular. Each mouthful wasn’t complete unless all components were stacked onto the fork. The crumbled cocoa was the most surprising element to the dish, melting together perfectly when sprinkled over the the rare-cooked roe dee, providing a quite satisfying crunch to the texture of the meat. Dessert: Lemon and chocolate ganache. 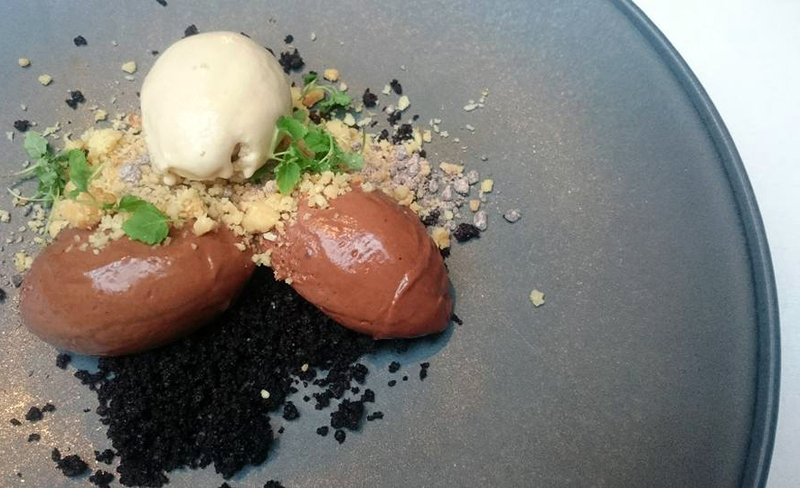 Sweet yet zesty, chocolatey yet beautifully light – even those lacking a sweet tooth would be hard pressed to find a problem with this dessert heaven. Onto the more mature portion of the evening – the cheese. This handsome plate wins the award for the most divine of 2016. 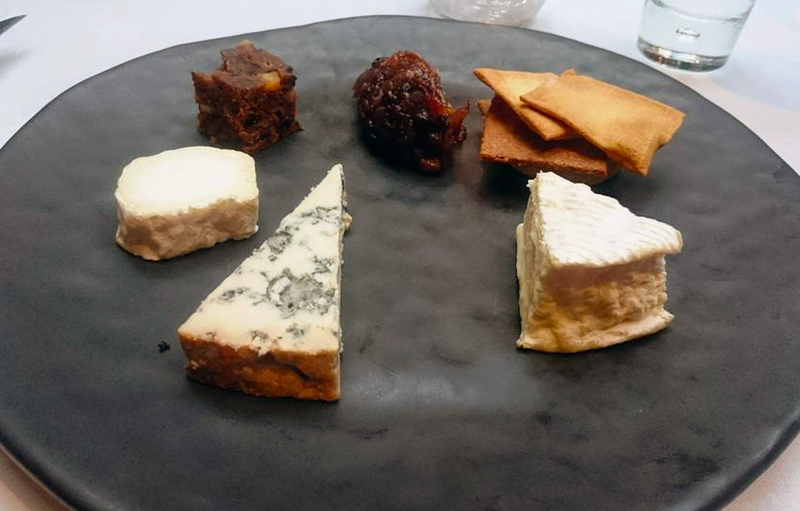 As I painstaking chose three cheeses out of the possible five (I had to show some restraint, after all), the starring line-up saw a trio of Ragstone goat’s cheese, a Scottish blue and a Tunworth cow’s cheese. Even although it was well past caffeine o’clock by the time the last morsel of cheese was nibbled with an almost-forgotten biscuit crumb, a creamy Baileys coffee was snuck in to wash the rest of the evening down. Not to mention dessert no. 2, comprising of salted caramel bites (does anyone remember life before salted caramel? ); extra salty, extra melty, extra wowzer. I have never before regretted being so late to visit a restaurant. I promise to return promptly, and to order much, much more wine on my next visit. 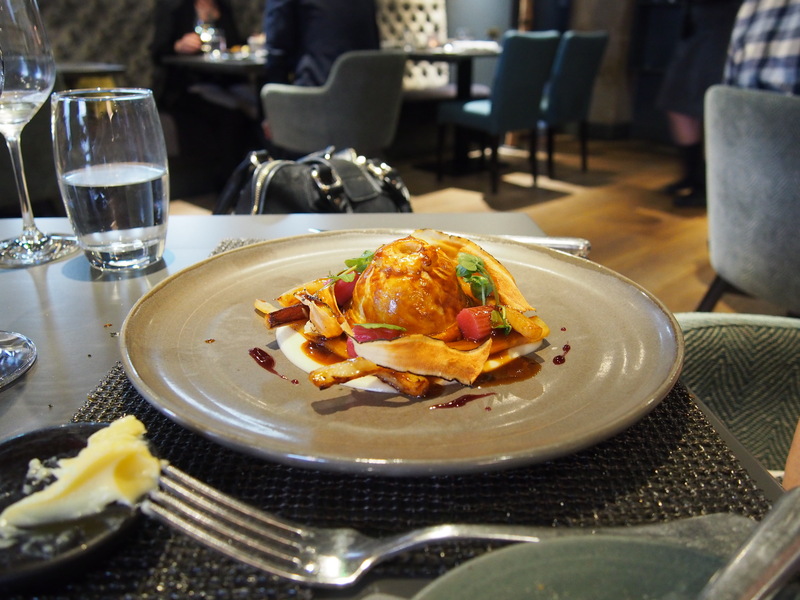 The Kitchin prides itself on being fanatical about seasonal cooking. 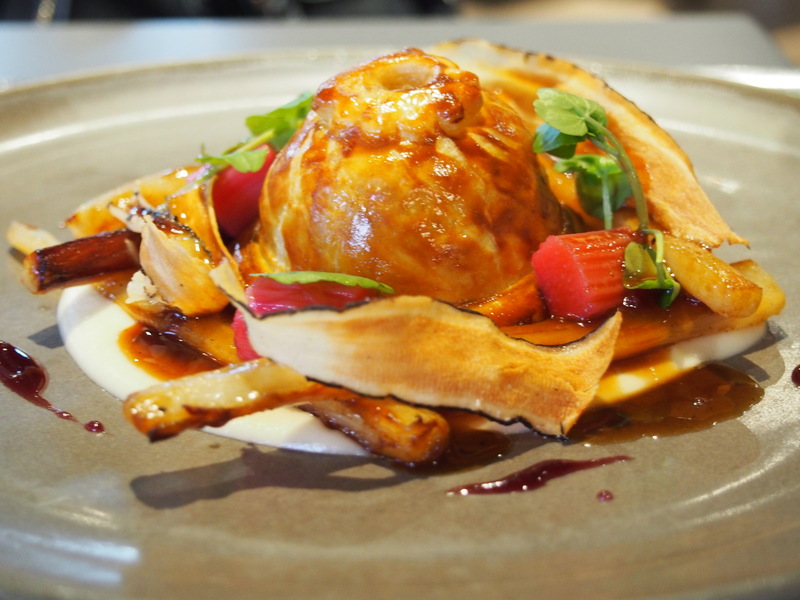 Offering British cuisine influenced by French techniques, an appreciation of the best quality ingredients available from Scotland’s fantastic natural larder, and a Michelin star-adorned Head Chef to boot – true foodie utopia awaits behind the doors of the Leith-based restaurant. 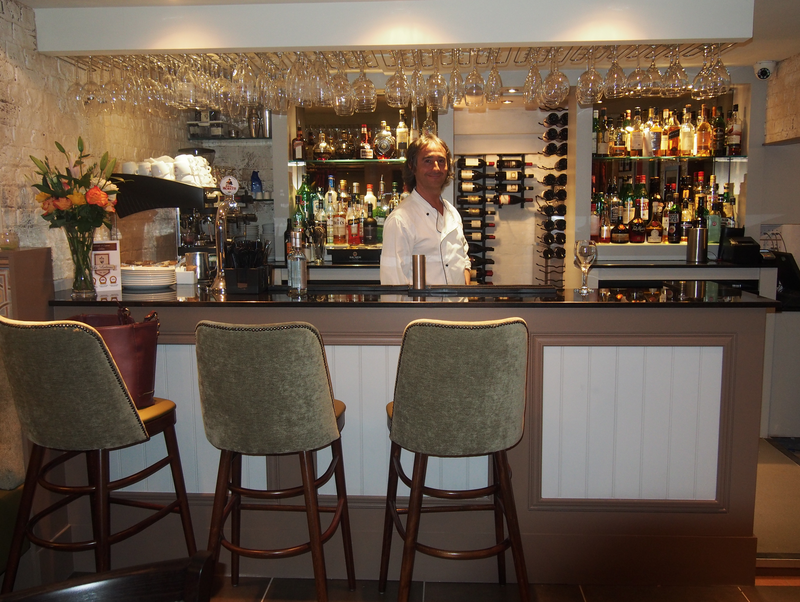 It is no surprise, therefore, that the man behind the eatery has his roots firmly planted in Scotland. 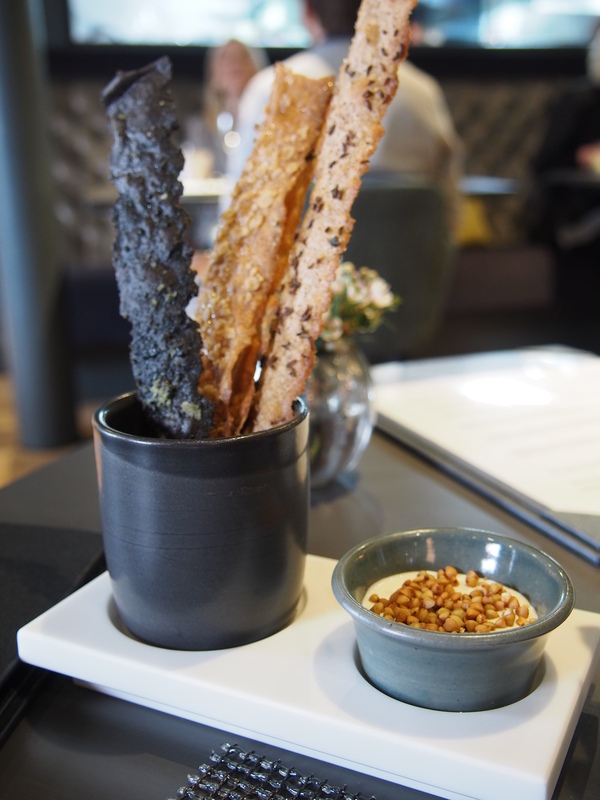 The Kitchin creator, Tom Kitchin himself, takes pride in every bite that’s served to the flocks of visitors who come to dine from all over the world. 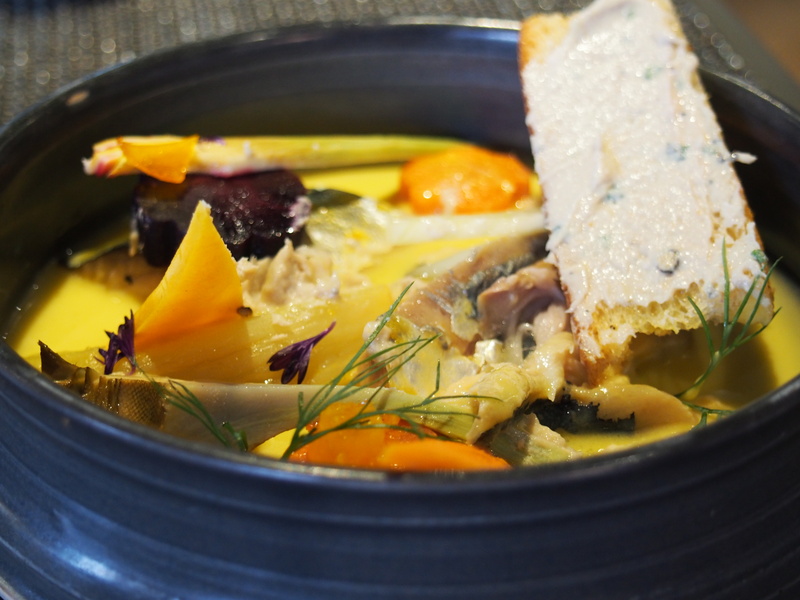 The restaurant’s philosophy, ‘from nature to plate’ is a true reflection of Tom’s hunger for the finest, freshest seasonal produce, and the cooking at the restaurant not only reflects his training under some of the world’s best chefs, but his own Scottish heritage. But of course, the proof is really in the pudding. So in lieu of being able to digitally transfer you some morsels through the screen (perhaps, one day), here’s my very passionate ode to – quite simply – the most stunning meal to ever have passed my lips. After being seated in the lush – but not garishly decadent – surroundings of the main dining room, our handbags thereafter received their seats (naturally). Indeed, two stylish stools appeared as if conjured by magic to ensure that our weary bags did not have to endure their stay by lying on the floor, unable to take in the beauty of the feast which was about to be served. So as our bags enjoyed the view from a new plane, and we began to peruse the Set Lunch Menu, our exploration of Scotland’s seasonal produce began as we were greeted by the arrival of a four different-flavoured crispbreads. The seaweed variety accompanied by the creamed salmon dip was a particularly moreish pre-lunch nibble..
As we placed our order (pleasantly, three choices are available for each course on the Set Lunch menu), our wine waiter explained that he would be selecting appropriate glasses for each course, telling us about each wine’s unique flavours and origin. 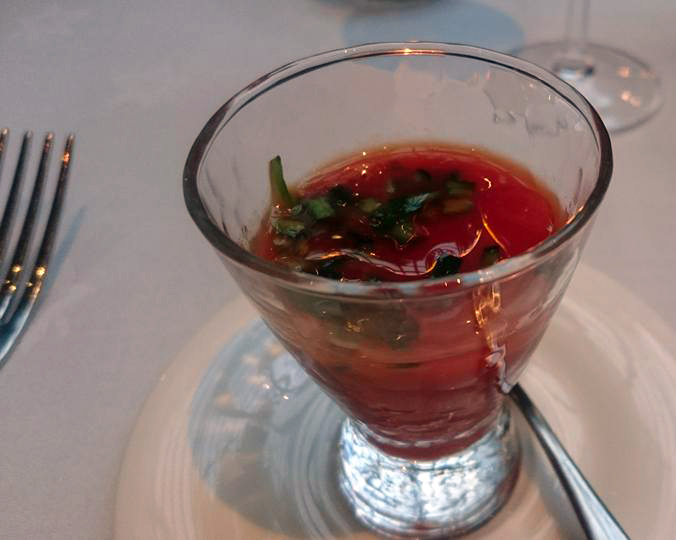 But before our starters even arrived, there was still time to enjoy a gorgeous amuse-bouche of vegetable veloute, as well as a freshly-baked, deliciously warm sourdough bread served with salted butter. 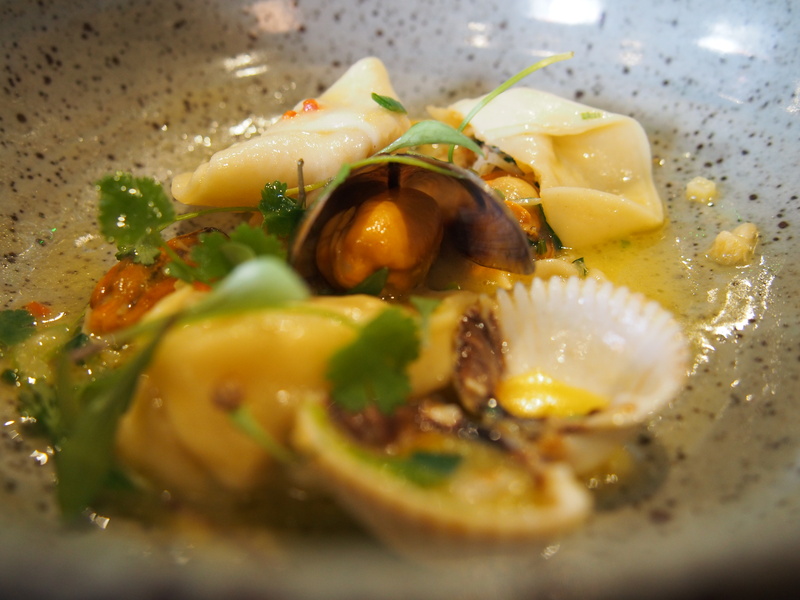 Already moving my belt one notch down and creeping towards fullness, thankfully the arrival of my crab and mussel ravioli immediately sparked my hunger pangs once more. My equally ecstatic dining partner (my lovely mum) was greeted by her own mini nirvana on a plate – a wonderfully colourful mackerel parfait. Allowing just enough time to finish off each glass of wine between courses was an additional delicious touch (not to mention sneakily allowing ample time for a slight wine haze to waft in). While I indulged, blissfully unaware of anything else going on in the world, my mum set to work on her plateful of roe deer, served with beautifully in-season rhubarb. The colours really popped off the plate to make for a visually striking dish. We even chanced a wave and a double thumbs up at Tom through the kitchen window as we dined. Now, for a dessert as spectacular as this, it requires a little warm up. A little backstory to my foodie life – cheese is the essence of my soul. Probably. Seriously, you wouldn’t brielieve just how much I love cheese. So you can imagine my awe when a whole trolley full of cheese was rolled right up to our table, boasting a grate selection (cheese puns are so mature), of cheesy goodness smiling up at me. 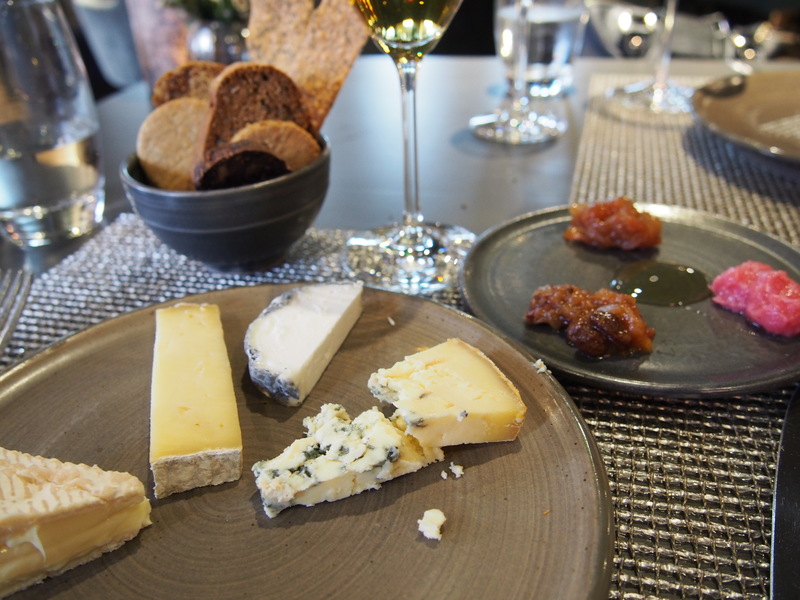 Feeling that in an environment such as The Kitchin I should show some sort of restraint, I calmly selected just four (SO MANY REGRETS) from the trolley including: goat’s cheese, blue stilton, camembert and a welsh cheddar. Don’t ask me to pick a favourite – you’ll have gone too far. Of course, an array of crackers, crispbreads, biscuits and walnut bread, along with apple, walnut, and seasonal rhubarb chutneys were served alongside by dairy feast. Plus, after severe protestations from our wine waiter as I asked for anything but a dessert wine (usually far too sweet for me), I admittedly couldn’t have asked for a better drink to compliment the sharpness of the cheese, than for the French Chateau Climens dessert wine he insisted he pour. 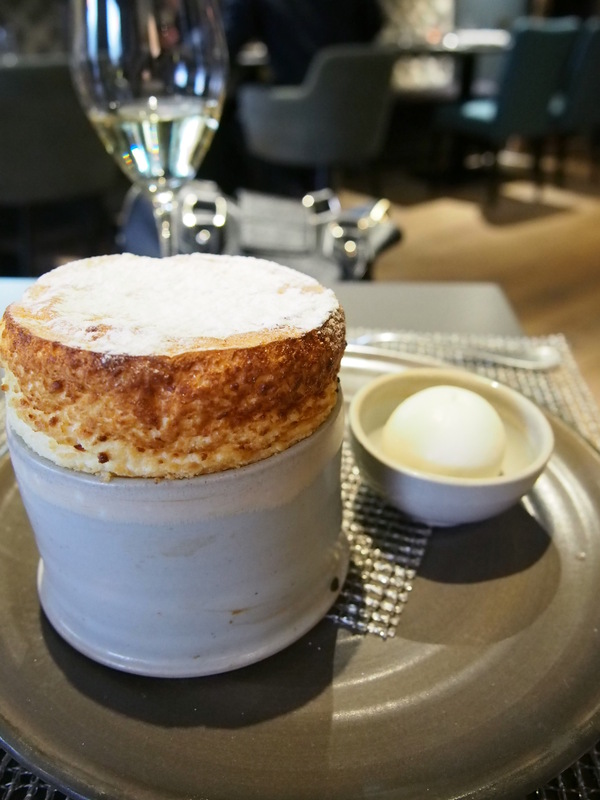 And if I wasn’t agog enough at my mini taste explosion, my wonderment was furthered by the lemon soufflé (which look as if it would feed 10) placed down like a trophy in from of my mum. Sitting afterwards in that pleasant lull that only comes after a spectacular meal, we declined the offer of coffee, simply too afraid that even one more sip or bite would just be too much to take. Flash forward another half hour however, and we someone managed to find ourselves drinking pink champagne (Philliponnat Brut Reserve Rose) and Espresso Martinis in the light-filled bar space. We were at least ashamed at our sheer gluttony. Having purchased the vouchers as a Christmas gift, I honestly could not have asked for a more spectacular dining experience to treat a loved one. At £110, I challenge you to find michelin-starred food and accompanying drink for anywhere near such a reasonable price. As we lounged in the bar after our meal, Tom Kitchin himself even emerged from the kitchen to walk round the tables to chat to each guest individually, thanking them for coming. Never once rushed, or made to feel like we were on a conveyor belt of ever-changing diners, the cosy and personable ambience was the cherry on the most indulgent cake. 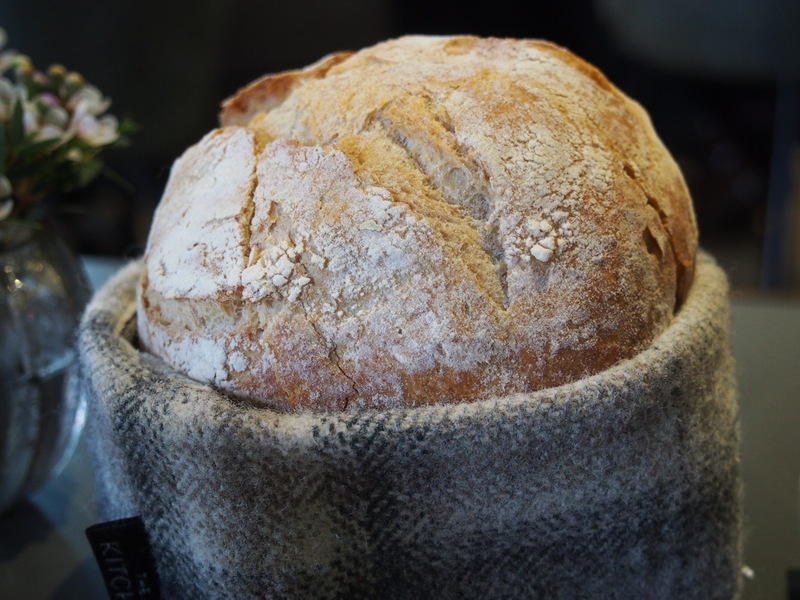 Try it yourself – I bet you’ll come away with a new appreciation for when your food is sourced, and – who knows – you might even ambitiously add a new recipe to your repertoire and attempt to recreate the whole experience at home. 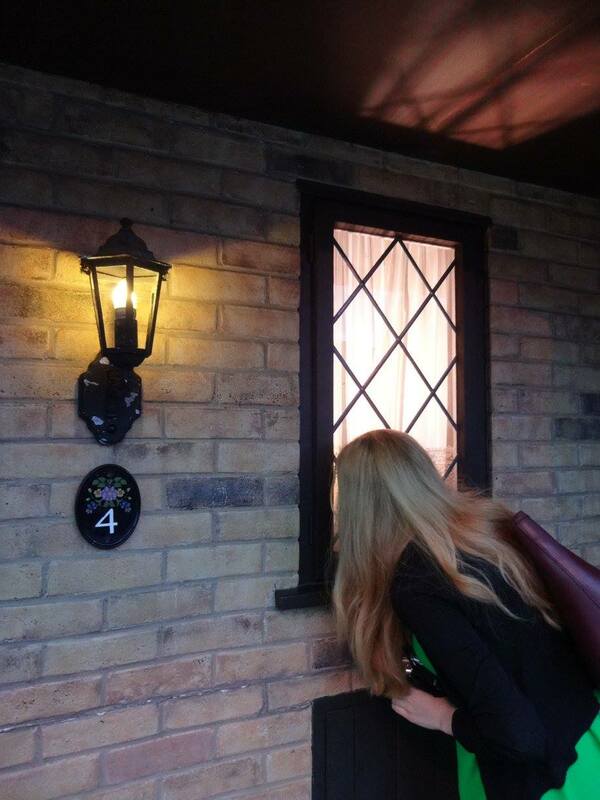 I’m a witch trapped in a Muggle’s body. 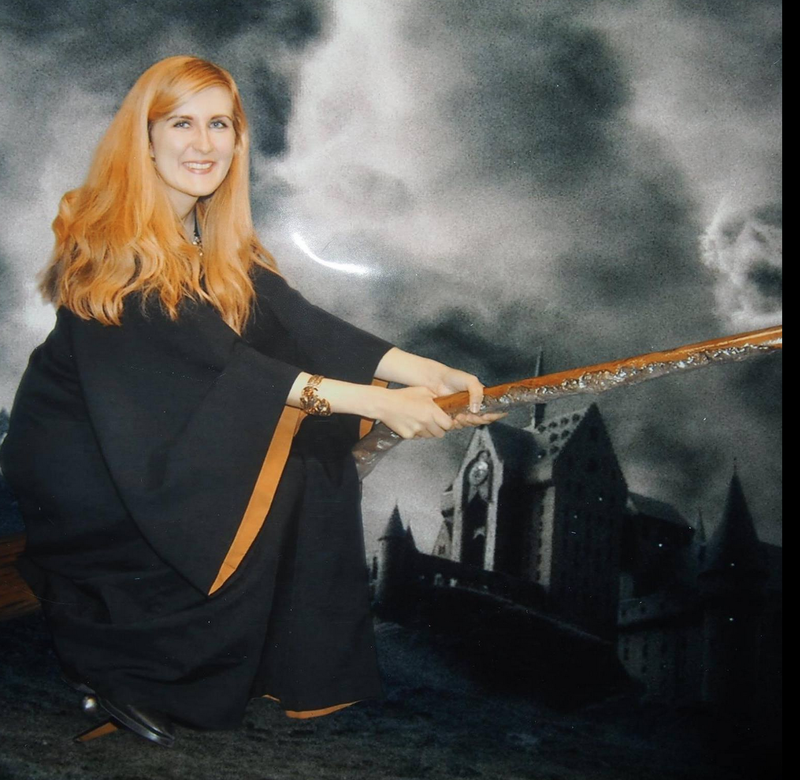 Even although 15 years have passed since I should have received my Hogwarts letter, there’s still a snitch of hope that it’s all been a misunderstanding and my owl simply got lost on the way. 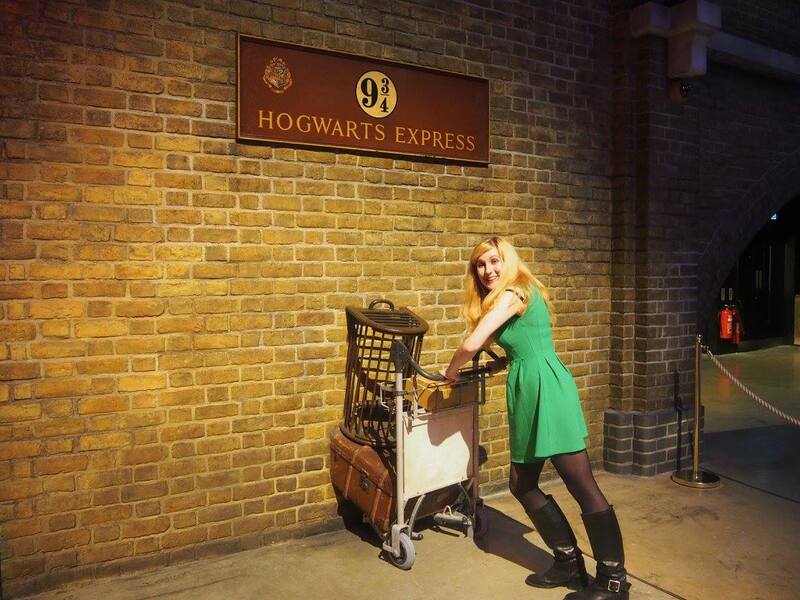 So, having missed out on seven years of magical education, there was really only one next logical step in life: get to London, embark on the Warner Bros. 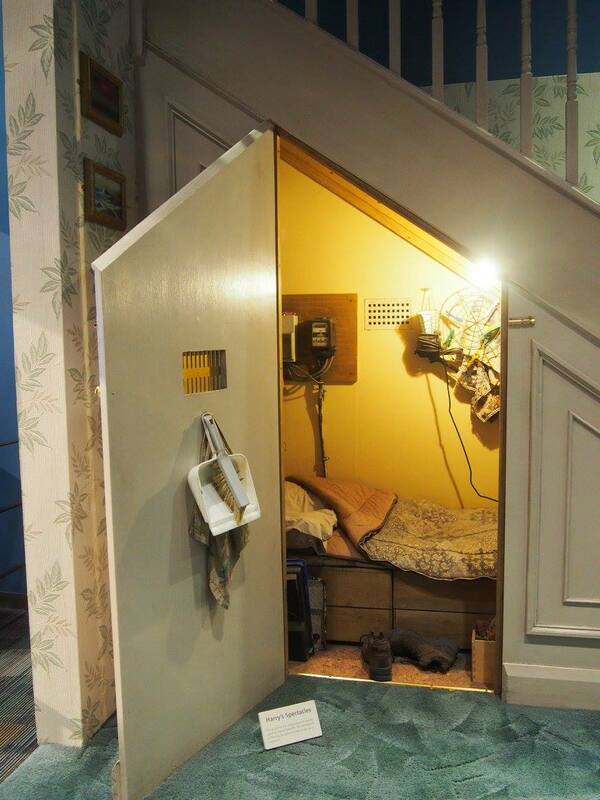 Studio Tour, and live out the whole thing on fast-forward instead. Naturally, if you’re planning on flying off on such an adventure, you’re going to have to book quite some time in advance. 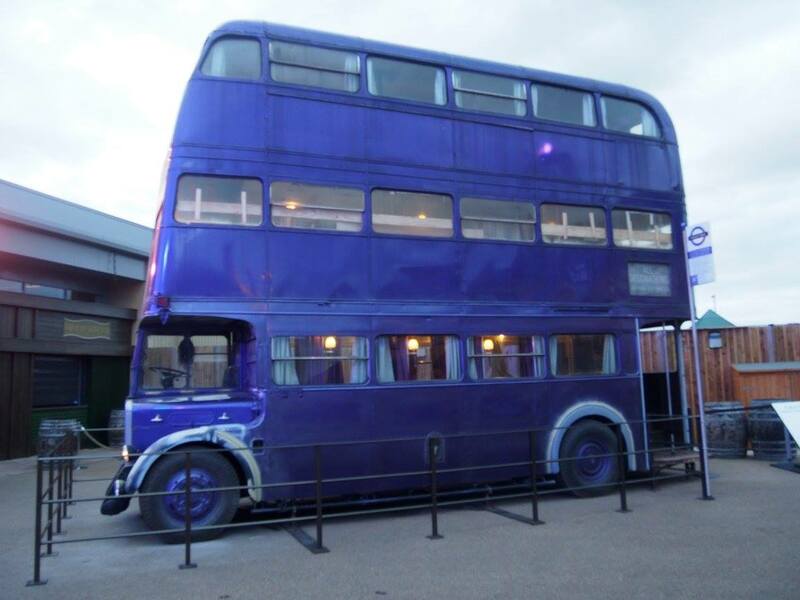 Even although the film studios have been open for over three years, tours still book up quicker than you can say ‘accio Firebolt’. If you’re looking to avoid the school rush and make sure you’re around only big kids like yourself, book an evening slot on a school night, and you can run about like a five-year-old without being judged by actual five-year-olds. 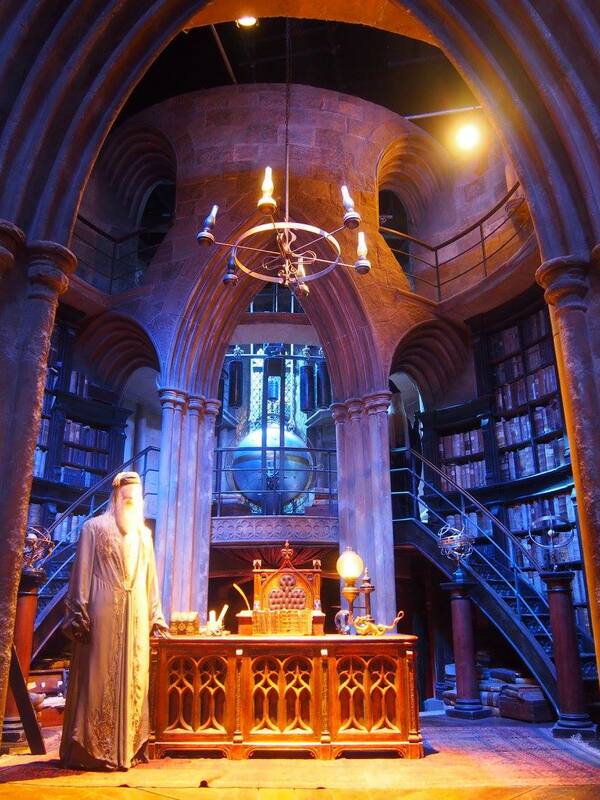 Before your tour begins, you’ll be led to a dimly lit cinema room, where your tour guide will no doubt jokingly quip that you’re about to be shown all eight films back to back. I was only marginally disappointed this was in jest. 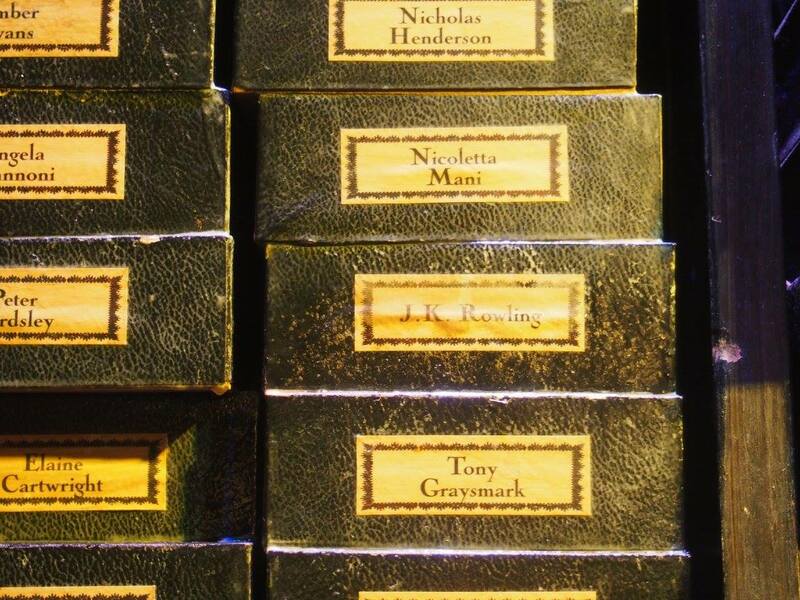 After watching a totes emosh montage of iconic moments from the films, seeing your favourite trio grow up before your very own eyes, the screen itself begins to lift…eventually revealing, THE DOORS OF THE GREAT HALL. I’m still crying. 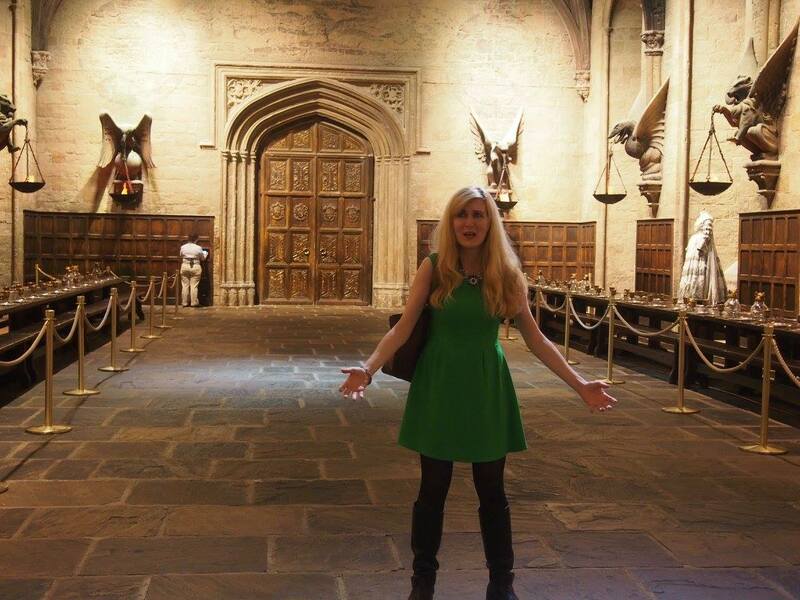 And how did it feel to finally stand in The Great Hall after 19 years of avid fandom? Well, if this picture is anything to go by, kind of confusingly terrified. The scale itself really is, well, magical. 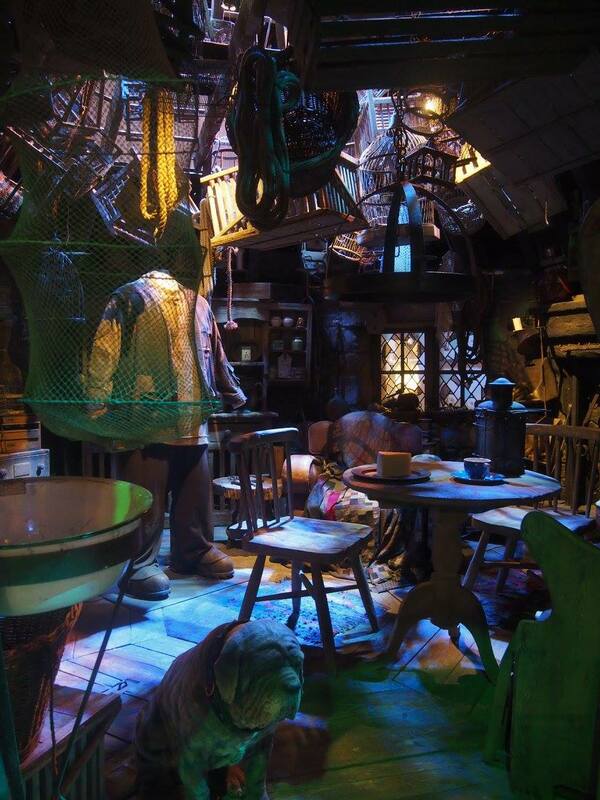 Every corner turns into another football pitch-sized warehouse of trinkets and treasures to explore. I suspect that an enlargement charm was used to bewitch it to appear bigger on the inside. The T.A.R.D.I.S doesn’t even come close. 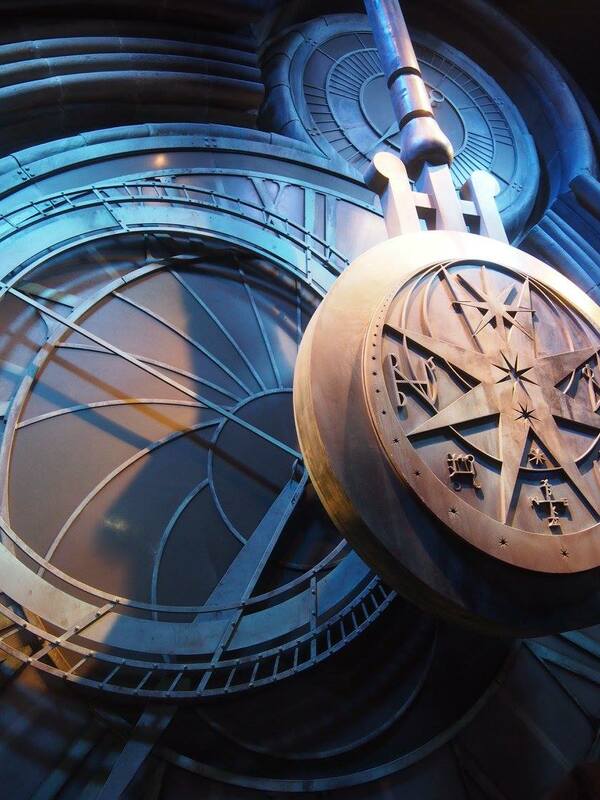 After exploring The Great Hall with your tour guide, the time has come to go it alone. From there on in, you’re left to explore the cavernous arena at entirely your own leisure. Or at least until the place shuts. 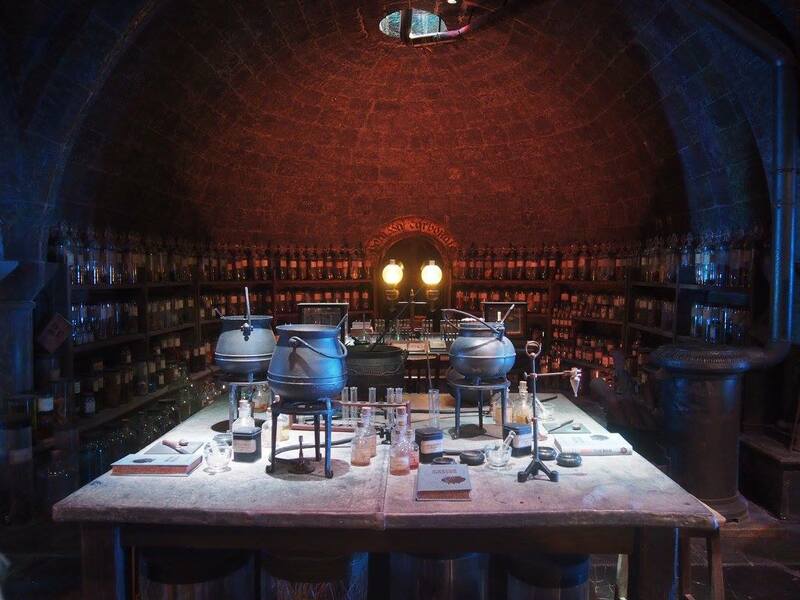 Hiding in The Vanishing Cabinet until everyone goes home is also an excellent option. 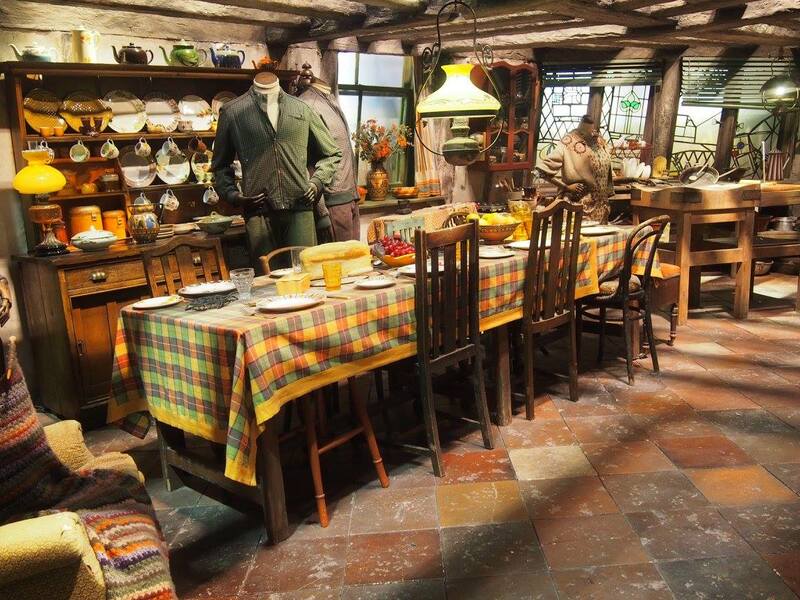 An entirely normal lunchtime at The Burrow (where the Wealsey’s have no heads). Learning to fly – yay! 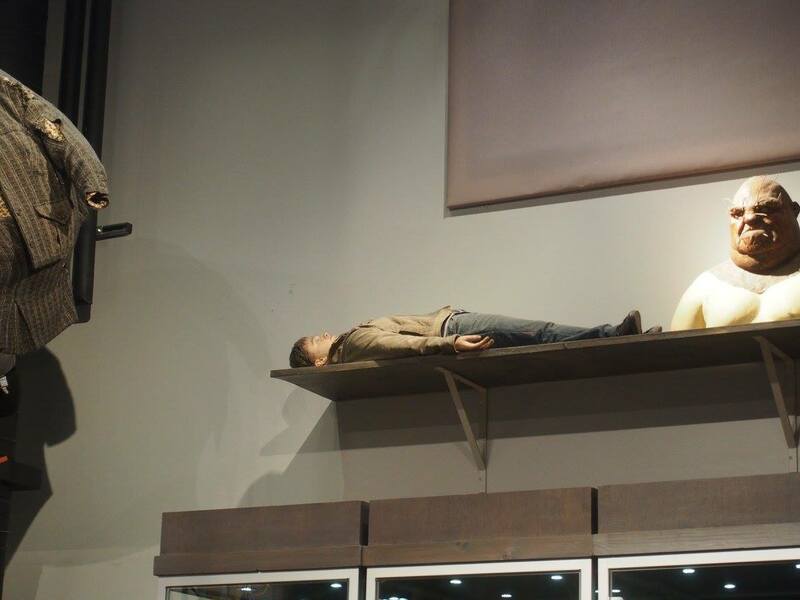 Learning you’re actually a Hufflepuff – ugh. 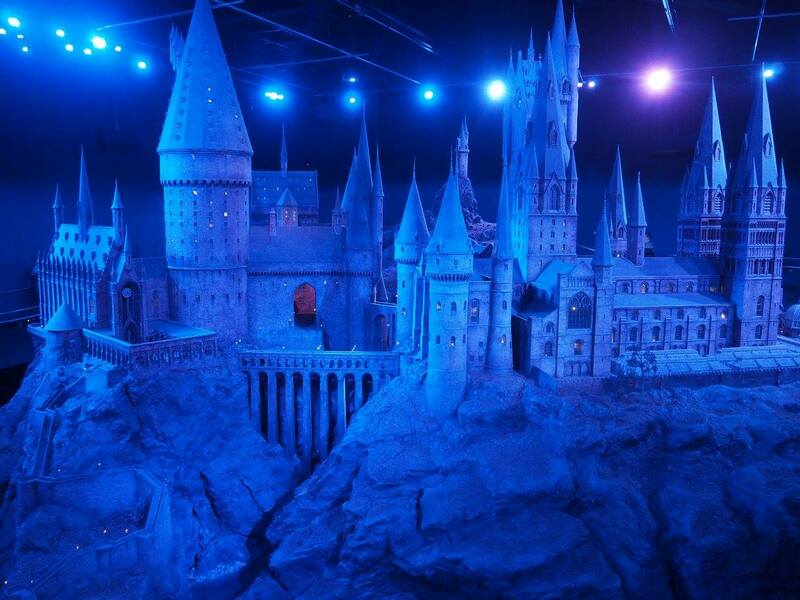 A real-life Hogwarts too beautiful for words. And where does the end of the magical trail lead to? 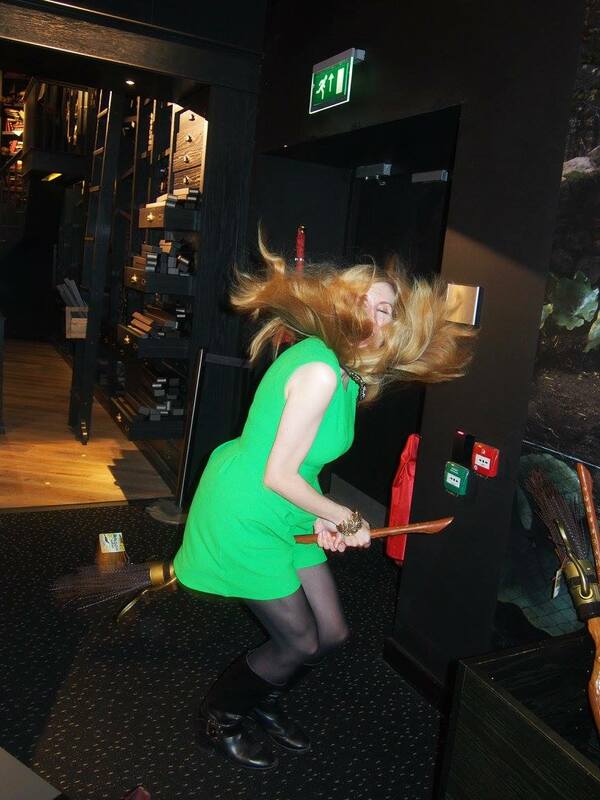 The gift shop of course, where I got the chance to practise my new-found flying prowess. Alas, 10pm did finally strike signalling closing time, when we were muscled out by force so the exasperated staff could actually go home. 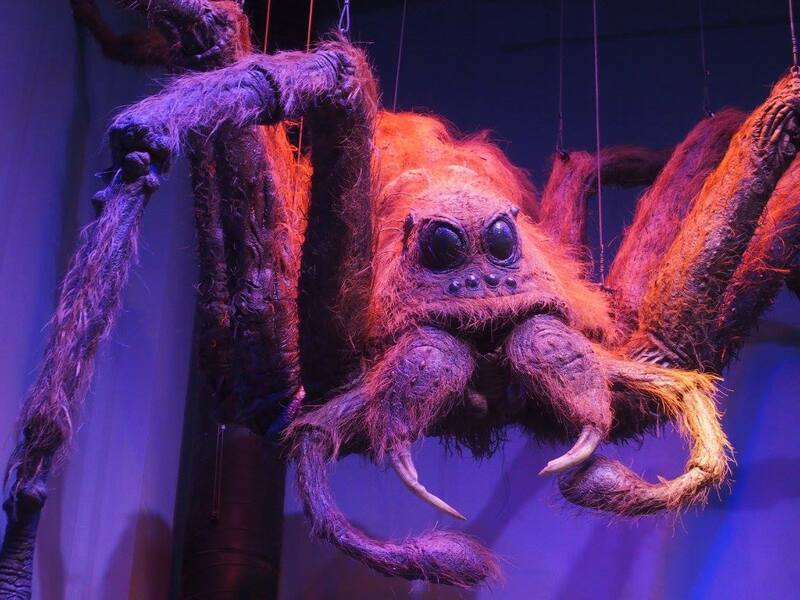 And what he was referring to was, when that choice involves deciding whether or not to visit the studios – it’s both the right path AND the easy path. Italian cuisine. Glorious carbs upon carbs. Can you ever get enough? Of course you can’t. Don’t be so bloody ridiculous. When it comes to Glasgow, there’s a veritable smorgasbord of Italian restaurants to peruse. In fact, you’ll only remember you’re in Weegieland when you stumble across a wee bampot climbing the Duke of Wellington statue to pop a cone on his heid (and perhaps his horse’s too). Not that the creamy saturation of Italian food in Glasgow is a bad thing. It’s positively marvellous. As a champion for all European cuisine, I could happily spend the rest of my days munching my way through an endless table of Italian, French and Spanish nosh. It’s no surprise therefore (WARNING: burger fans look away now), that I’ve got some beef with the current takeover of burger joints spreading their greasy baps all over the city. If I see one more generic, ‘gourmet’ burger joint, I’m going to seriously get up in their grill (their actual kitchen grill). So among this banquet of pasta and burger mania, very few venues manage to make themselves stand above the rest. When it comes to Italian however, La Lanterna‘s light shines the brightest of all. ‘Authentic’ is a word thrown around often enough to detract from its true value, so believe instead in 45 years worth of experience. Yup, the renowned restaurant has been cooking up Glasgow a storm since it opened its doors in 1970. It’s also currently Scotland’s Best Italian Restaurant as voted for at 2014’s Italian Awards, and it hopes to defend the prestigious title for another year. Run and owned by General Manager Chris Martinolli and Head Chef Luca Conreno (you might have seen him cooking on STV’s Riverside Show), the duo have taken the restaurant to even more impressive heights in 2015, investing in one heck of a grand refurbishment. A close-knit feel really defines the personality of the venue. It permeates the cosy yet buzzing atmosphere, the friendliness of the staff, and is found in each bite of the lovingly prepared food. Perfetto. I’ll finally serve you up some words on the food itself (apologies for the delay). First off, if you’re on the hunt for that round, dough-based foodstuff, go elsewhere. La Lanterna doesn’t serve pizza. “NO PIZZA? !” you cry? No pizza. Instead, the high-end restuarant offers a banquet of pastas, risottos, meats fish & salads. What more do you want fussy? Not a starter fan myself (I’m all about leaving a house-sized space for dessert), I found myself diving into my first round of carbs. 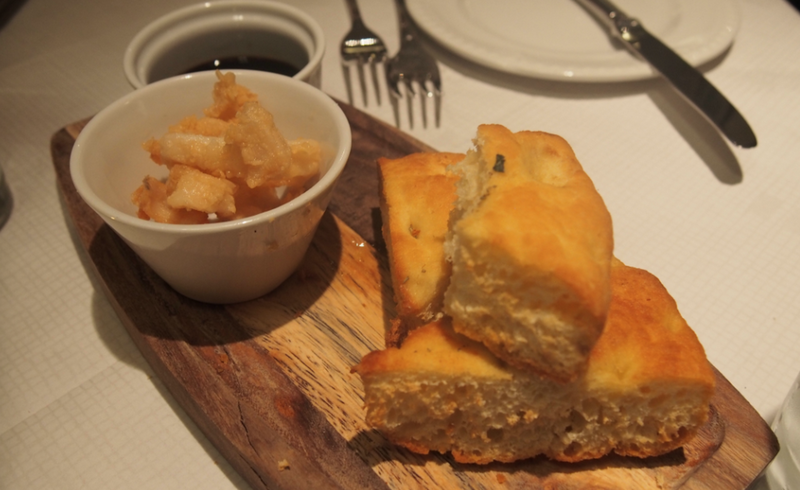 What I ended up biting into was the king of all focaccia. Crunchy on the outside – soft and airy on the inside. The complimentary side addition of crispy calamari was a delight . Do I even like calamari? Nope. Did I fall in love with this stuff? Oh aye. Now, when it comes to cheese, I get excited. You better BRIElieve me (sorry not sorry). And if you enjoy your cheese seriously strong like I do, there’s a pasta to feed that cheese monster. 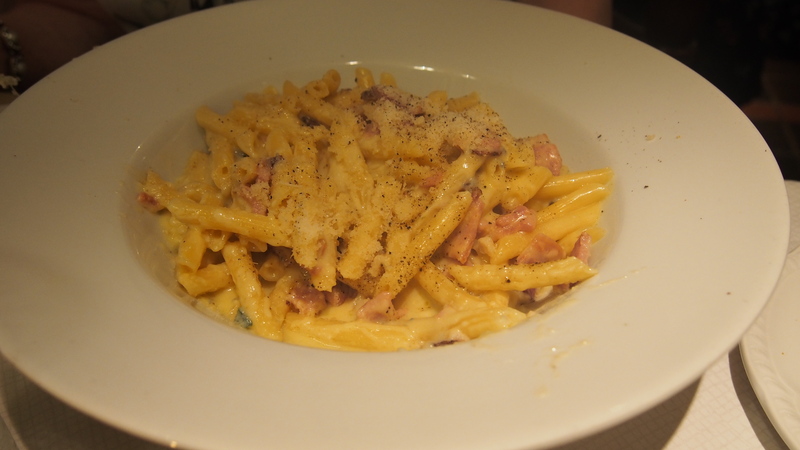 The Penne alla Carbozola (smoked ham, garlic & creamy blue cheese) packs a fiesty punch, and provides a very welcome twist on a sometimes overdone classic. If you are only going to visit La Lanterna once however (but that would just be silly) you simply have to order the award-winning Raviolo Novelli – renamed after chef Jean-Christophe Novelli choose it himself, earning Luca Conreno the Best Chef Award at the 2013 Italian Awards. Now that’s an accolade. The dish stars spinach & ricotta ravioli (freshly made by hand each day in the restaurant) tossed with fresh sage, butter & finished with double cream & parmesan. The only thing I was worried about was that it wasn’t going to be enough to fill the chasm that is my stomach. Of course my worries were unfounded. The dish was so filling that I felt about 95.4% made of pasta when I was finished, which is precisely the correct amount. Room for dessert? Not a chance. Order it anyway? Of course. 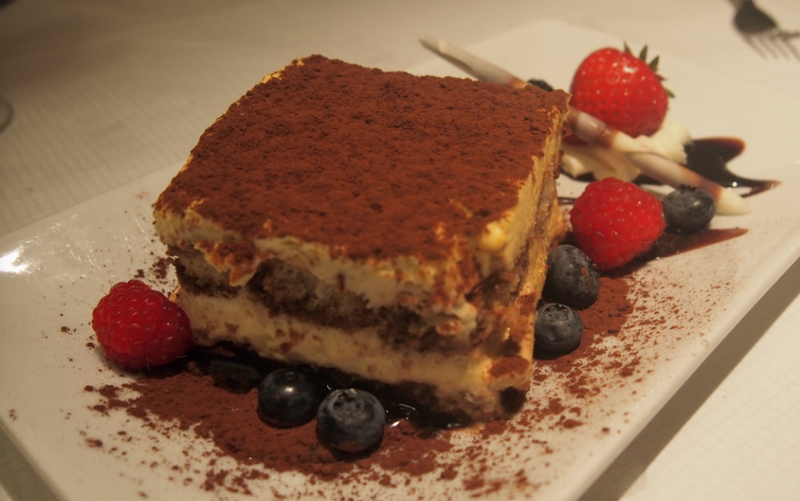 At the risk of beginning to sound repetitive, the La Lanterna tiramisu was also on award-winning levels. I don’t even like tiramisu – seriously. And no, I don’t know either why I spontaneously decided to order so many things out of my comfort zone. Leaving the restaurant afterwards. feeling a few pounds lighter (numerically) and a few pounds heavier (biologically), I waddled out with the happy lull that only comes after a heavenly feed. Go now. it’s worth every penne (been saving that for last). 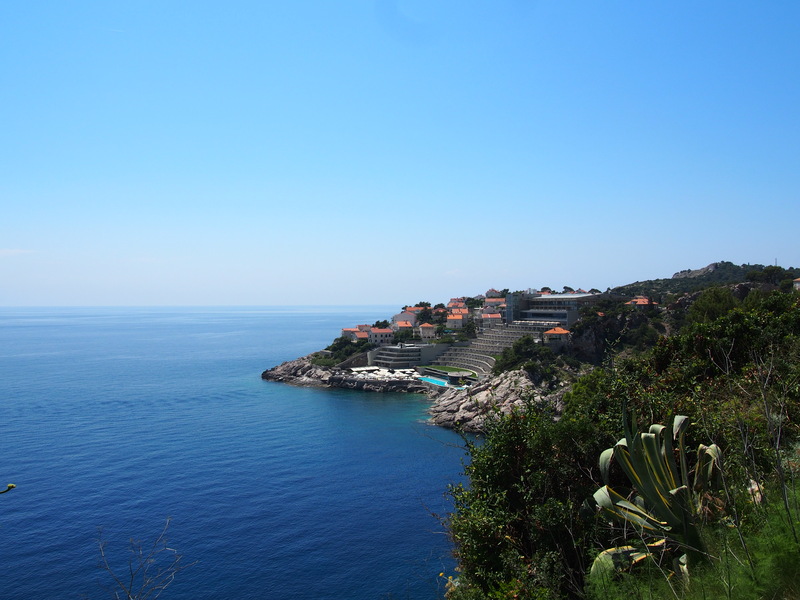 Ah Dubrovnik. 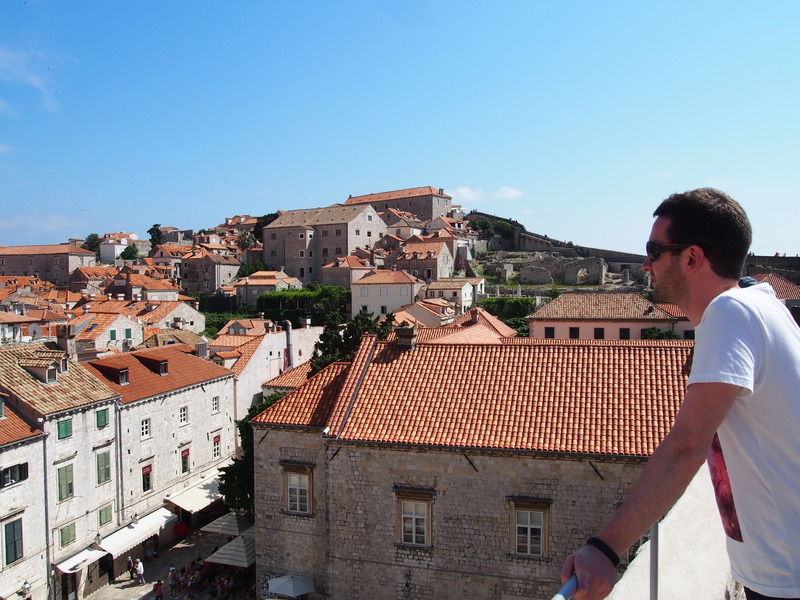 Boasting the towering walls of the Old Town, charming orange rooftops and idyllic islands. Not forgetting it’s the home of Thrones (that’s Game of Thrones to you and me). But of course I didn’t fly thousands of miles just to fangirl over HBO’s most iconic filming locations (that was only 80% of the reason). 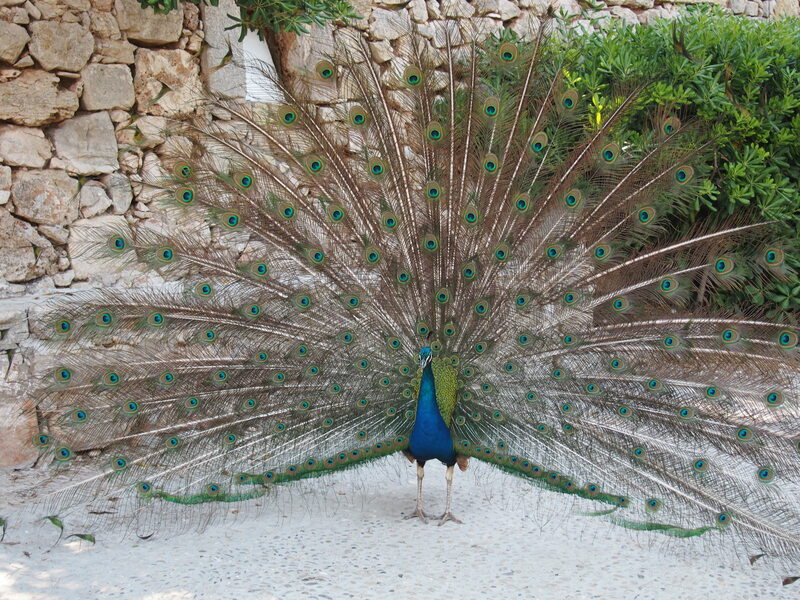 I got my travel pants on to sink myself into Croatia’s unparalleled beauty, deep history and illustrious culture. I knew from the very first sight of the most perfect melange of blues I’ve even seen that the this trip was going to be a winner. 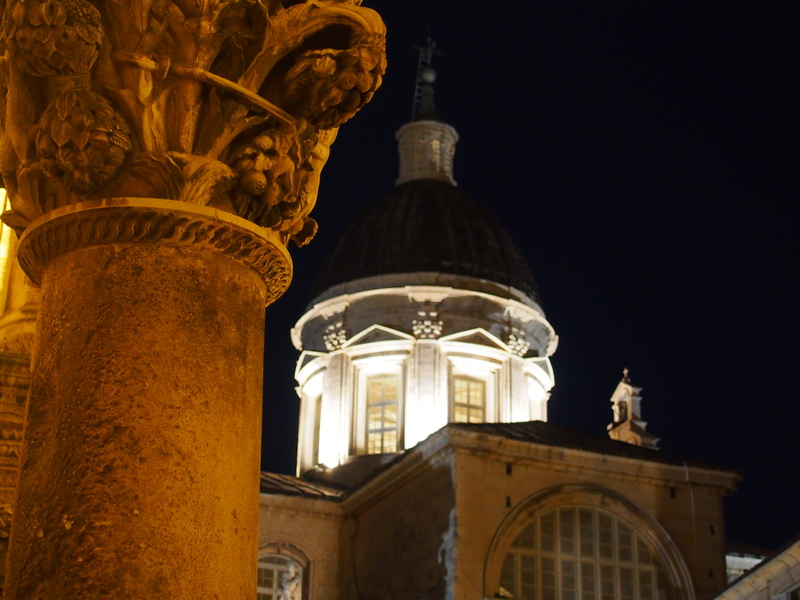 An easily navigable city, resist the temptation to flag a cab on your explorations and take things at your own pace as you explore Dubrovnik on foot. Make the most of sauntering through postcard perfect scenes and appreciate the views that you sure as hell aren’t going to be able to ogle at out the office window once you return home. Some of the excusrions around the city can be pretty pricey – Game of Thrones tours, taking the cable car – but if you’re only going to pay for one thing when visiting, PLEASE make sure it’s climbing the wall. A 2km walk in total (after climbing a feckload of steps to get up there in the first place), it takes around 40 mins to explore at a leisurely pace, where you’ll be sure to stop to ‘ohh’ and ‘ahhh’ about every three seconds as you see the exact same view from a slightly different angle. Seriously though, it’s out-of-this-world on the scale of amazing. So much so, that you’ll be scrambling for your phone desperately trying to capture every millisecond. Resist the temptation however and, you know, actually experience it with your very own eyeballs by puting the screen away. I know – so archiac. It truly is a #nofilter location. 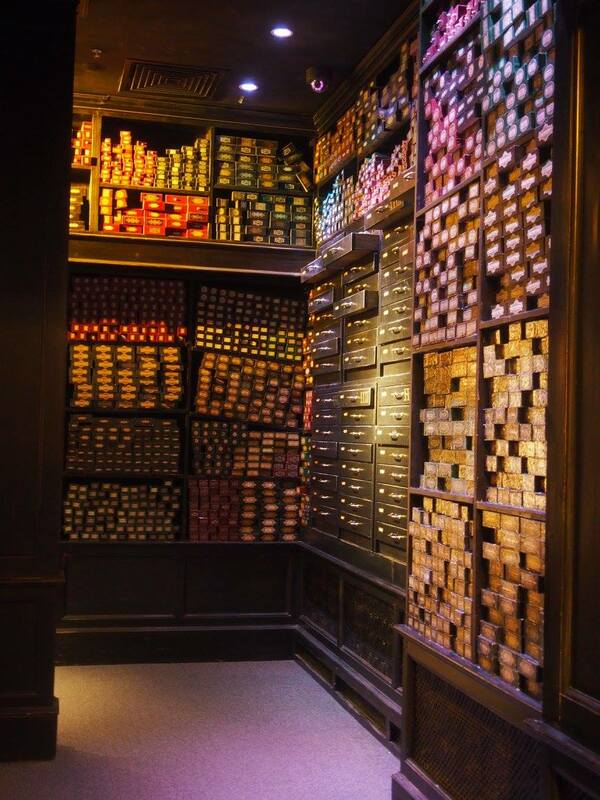 Now THAT’S what you call a wall. 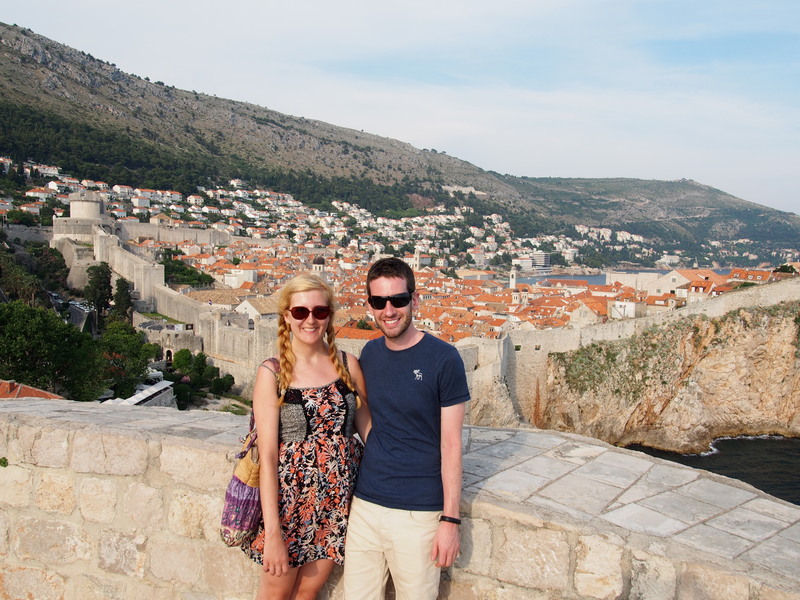 And for all your Thrones fans desperate to explore the home of King’s Landing, it really isn’t essental to go on one of the (expensive) walking tours. By simply climbing the wall, visiting the neighbouring islands, and exploring the Old Town, you’ll conquer your quest without the need of your own Ser Jorah (or tour guide) and you’ll feel twice as rewarded every time you stumble upon that scene from that episode with that guy and that death scene. Am I right? Continue on your epic voyage by moseying on down to those friendly islands just across the way. Costing merely a couple of bob from the port of the Old Town, you can jump on a boat to the island of Lokrum, which is only 15 mins away! Featuring the ruins of a Benedictine monastery, botanic gardens, unspoilt beaches and, oddly enough, hundreds of peacocks, the island is pristine and peaceful. You can even swim in the Dead Sea. 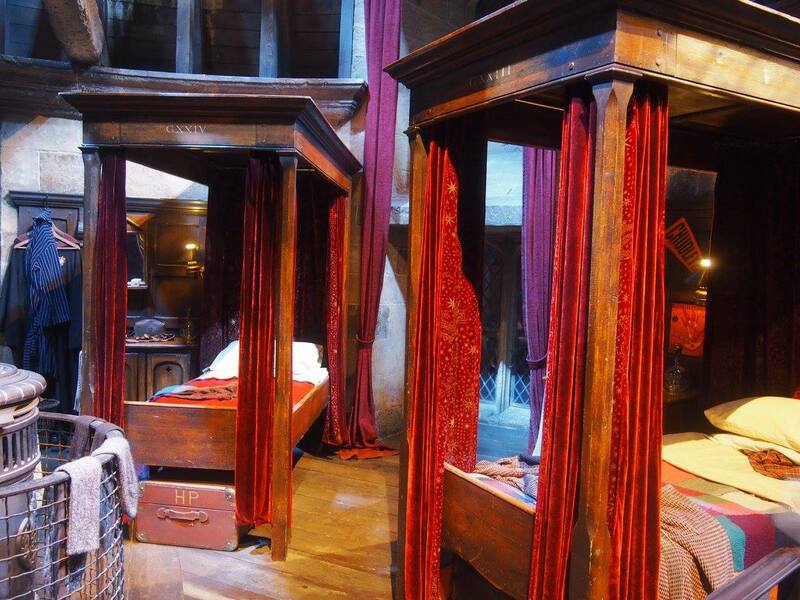 It’s also the setting of yet more GoT moments; it doubled for scenes in the oppulent city of Quarth. Honestly though, it’s pretty much just run by peacocks. Peacocks can FLY by the way. Am I the only person who didn’t know that? But anyway, apart from the wildlife, the island is a genuine treasure trove filled with nooks and crannies to explore amongst imposing ruins. Spend a full day there to get the chance to see the whole island. Unaware of how unwilling we’d be to leave, we merely had three hours on the paradise island, and left feeling disappointed and there was so much we still didn’t get the chance to see. 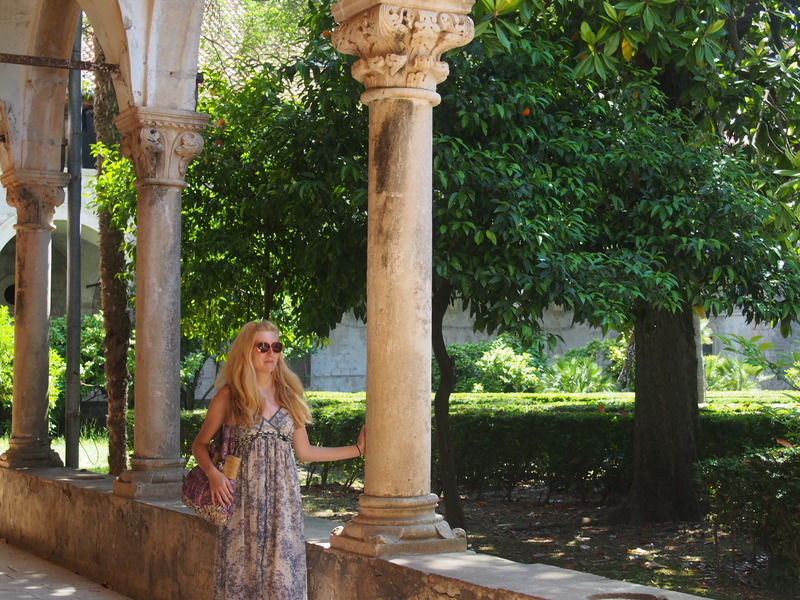 That’s so Khaleesi: The Island of Lokrum doubled as the setting of Qarth in HBO’s Game of Thrones series. After all that exertion, you’re probably going to want to have a bit of a epic sit down and just throw things in your face. And when it comes to stuffing your face, the city does that pretty well too. If you fancy delving into an authentically Croatian dining experience, there are a handful of cosy restaurants that will cook you up a storm. Kopun, is one such venue. 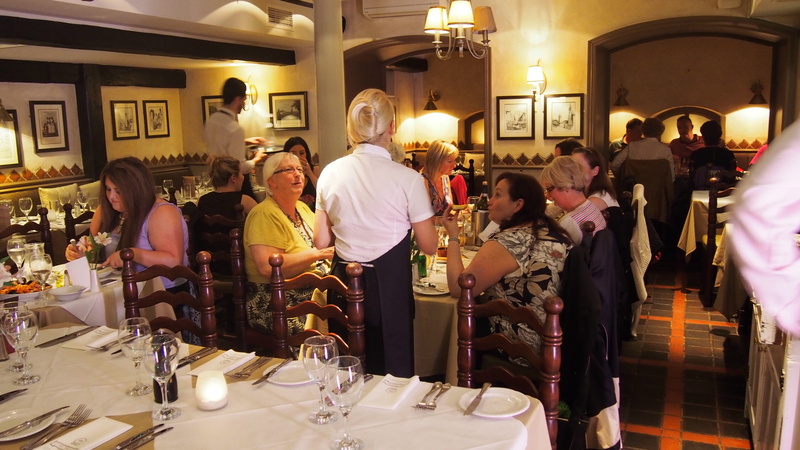 Situated in a quant little sqaure at the top of the beautiful Spanish Steps, and next to a picturesque cathedral in the Old Town, it serves up traditional Croatian cuisine, and is one of the most highly rated restaurants in the city. Seafood fan? Try the Brodet (spicy seafood stew). The house specialty, Capon (male chicken, cooked slowly) in orange sauce, was my meal of choice and was deliciously moreish. I even managed to find myself a beautiful Pinot Grigio Rose wine: crisp, fresh and dry and only £3 for a half carafe! Don’t even think about going back to your hotel after dinner. Cited as the ‘bar with the best view in the world’, Cafe Buza (or the ‘Hole in the Wall’ bar) is so good, you might cry when you see the views. No, really. Buza, meaning ‘hole’ in Croation, is accessed by literally entering through a hole in the wall, to discover this secret bar which perches about 100 feet up attached to the wall itself, making way for the views so boasted by the venue. You could easily pull up a chair against the edge and find yourself still sitting there (probably pretty smashed) 10 hours later. Naturally, the atmosphere is always buzzing, and you’ll need to be extra lucky to nab a table right at the front. There’s also the added fun of being able take the steps down to the sea front, strip down to your swimwear, and take your chances as you jump off the rocks into the clear waters. Did I experience this first hand? Nope, I got as far as climbing onto the rock and just having a seat instead. Alas, it’s all but a glorious memory now. And about 1450 photos. My bronzed skin is well and truly transformed back to peely wally (that’s ‘pale’ in Scots speak). I’m already plotting my escape from Glasgow for some more island hopping. Winter is coming after all, so it might just be time for another journey back. 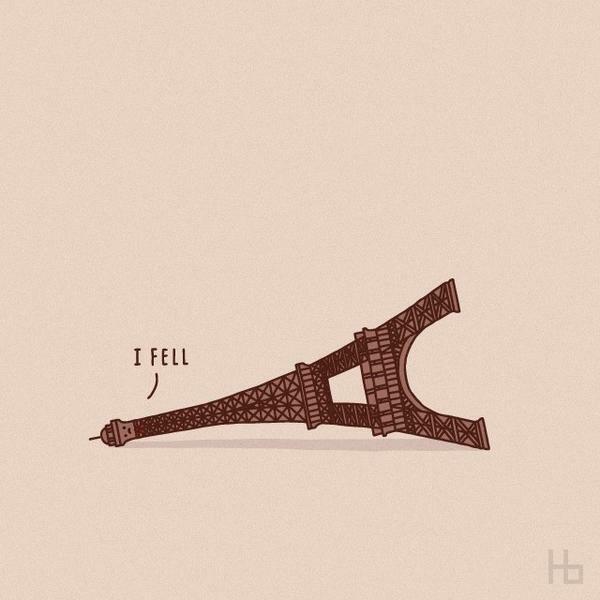 For me, learning French was not like romantically skipping through a field of daisies, elegantly and articulately expressing my surroudnings flawlessy in my new tongue. Challenging doesn’t even go half-way to describing the hundreds of awkward moments, terrible mistakes, and just plain nonsense I spouted while I was learning a language. Yes, being thrown into a new country, and a job, where no-one spoke my native tongue was indeed the best way to learn said language, and I am thoroughly grateful for it in present day. Four years ago? Not so much. Having a great passion for languages, I would absolutely encourage anyone to get out there and start learning one. But just in case you get a littl lost along the way, here are a few, shall we say, insider tips, to blagging your way through your next foreign trip. Whiten your teeth and practise in front of the mirror, because you’re going to need to do a lot of this. The more you practise the more convincing you’ll be. You’ll find out as time goes by how good you become at feigning smiles or gaging what sort of face you should be making, or how to quickly rearrange your expression when you realise you should have looked shocked instead of happy, even although you still have no idea what anyone is saying. When someone asks you a question in a different language, conveniently take a giant mouthful of baguette, croissant, or whatever else you can get your hands on, simply to avoid having to answer. Apologetically point at your stuffed mouth and roll your eyes. If you take long enough to eat it, they will give up and start talking to someone else. Lots and lots of noises. It’s amazing how much time you can fill by making sounds of agreement. Try laughter, gasps, tuts and sighs instead of actual speech. They may clock on that there’s something not quite right about you after a while, but by that time hopefully you will have an escape route. When you’re sitting in that lovely French restaurant and the waiter comes up and rambles in fluent French. Confidently reply “oui” to whatever he says, pick up your menu with purpose and simply point at what you want. If you look certain enough about anything they might even believe you are French. 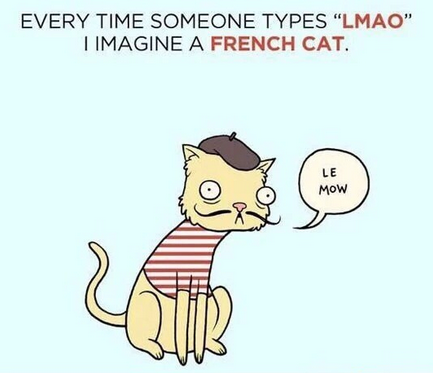 Perfect that classic French thinking sound. You know the one I mean? Like a Hoover when switched on? Try it while thinking, eating, signing, talking. Voila! Learn around ten diverse phrases that you can slip in almost any conversation. Bonus points if you get all ten in during one conversation. Some of my favourites were “Non, ce n’est pas vrai!” (No, it can’t be true! ), “Ce n’est pas grave” (It’s cool/ that’s fine) and “Quel dommage!” (What a shame/pity!). Laugh hysterically when someone tells a joke (judge this by when everyone else laughs), then laugh way past the point where everyone has stopped laughing so you don’t have to be the one who talks. Plus, no one will want to talk to the person who laughed past the point where the joke was funny anyway. Every time someone looks at you for your opinion, sigh haughtily and shake your head. Taking a long drag on a cigarette is an added bonus. You are on your way on becoming French. Have a foreign book or magazine on you at all times and ‘read’ it wherever you go. Hidden inside however, you will have an English book of your choice which you are actually perusing. If all nine of these fail, pull the most terrifying face you can bring yourself to make, then don’t relax until they have left you alone out of pure fear. Alternatively (and this may be your last resort) you could buy lots of language books, CD’s, films, newspapers, take foreign language lessons and make new friends to really master it all. It’s your choice. 27. Head of Social Media at LUX - The Food & Drink Agency. Freelance Writer & Social Media Manager. Obsessed with Paris (and cheese).